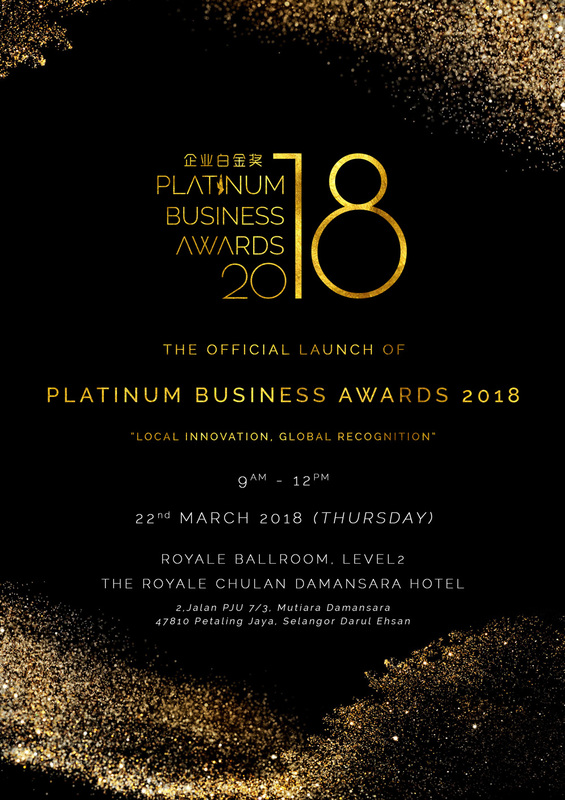 Please be informed that SME Association of Malaysia (SMEAM) cordially invites you to participate in the official launching of Platinum Business Awards 2018 “Local Innovation, Global Recognition” on 22nd March 2018 (Thursday), 9.00 am. YB Datuk Chua Tee Yong, Deputy Minister of Trade, Ministry of International Trade and Industry, Malaysia is invited as a guest of honor and will be delivering a speech during the event. The theme for Platinum Business Awards 2018 is “Local Innovation, Global Recognition”.